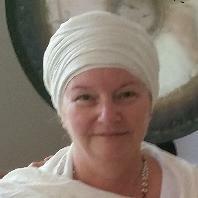 Dr Adi Shakti Kaur has pioneered the teachings of Kundalini Yoga in the South East Region of Queensland Australia since 2006. Her overall vision has and continues to be to create a conscious yogic community on the Eastern Shores of Australia. Her background extends deep into the wisdom of Traditional Chinese Medicine and Acupuncture specializing in Woman's health and psycho/emotional support. Adi Shakti is a natural teacher not only in the modality of Kundalini Yoga and Conscious Pregnancy but also Lecturing Chinese Medicine at University for over 5 years. Adi Shakti offers a unique way of delivering the teachings as her healing presence comes through and into the sacred space. In her spare time she enjoys playing the harmonium and singing. Additionally, astrology, mythology and sound healing are service she offers to the community both locally and world-wide.